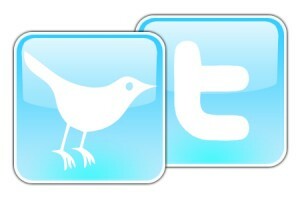 Don't know what Twitter is? Your kids probably do. It's basically text messaging for the web. Or blogging in 140-character increments. Why do you care? Because in the event that MotorsportReg.com is unavailable, it's the way that you'll be able to stay in the know. We believe in Reliability, with a capital R. That means that we worry about service outages before they happen. If we were to experience downtime on MotorsportReg.com that prevented the site from responding, you should still be able to come here, to pukkasoft.com, and see what's going on. But let's pretend that it's not just MotorsportReg.com that's down, but California finally broke off and floated away into the Pacific and the extension cords weren't long enough. Then what? The answer is our Twitter feed. Since Twitter is an altogether separate service run by separate people on separate servers in separate networks (one in California and one in Virginia), the odds of us both being down at the same time is highly unlikely. Like asteroid-crashing-into-the-Earth unlikely. We're also posting our upcoming outage notifications to Twitter. When we release new versions of MotorsportReg.com with enhancements, we typically take about 2-3 minutes to clear caches and reload the application. We already post these notifications to the site itself but if you're "following" us on Twitter, you'll receive 15-30 minutes advance warning before it happens. This will be especially handy for event organizers who frequently access the site. We never promise to be perfect but we do promise to work as hard as we can to be reasonably close and always honest. This third backup mechanism is one more way of being as transparent as possible.